Xender Web is the finest way to share files from Android and iOS devices to PC quickly and easily. File sharing applications like Xender are the most popular and effective way to transfer files between multiple devices. One can quickly move large size files across devices using the Xender Web file sharing application. It’s an ideal option for those who want to transfer data between devices in the least amount of time. Traditional modes like Bluetooth have become outdated nowadays due to the rise of file sharing apps. Xender is one such application that lets you share any type of files between devices with ease. Well, most of you know might be using Xender on your Android. But this time, we’re sharing Xender Web which you can use to transfer data from your Computer to Android or vice versa. In case, if you’re wondering how it’s possible, then stick to the article until the end to know. For any odd resason, if you don’t know what Xender is, then here’s a simple introduction for you. Xender is an Android application that is capable of transferring files 200 times faster than the Bluetooth. Sounds impressive right? Well, that’s the main reason behind its enormous amount of popularity in Google Play Store. Literally, millions of people use Xender on a regular basis to transfer large files across various devices for free of cost. As of now, Xender is probably the fastest and reliable file sharing application in the whole market. You can transfer or move any sort of file such as Apk, Documents, Media Files (Songs, Videos) games and pretty much anything. Also, you don’t need to be a tech-savvy to make use of Xender for moving files. It’s a simple app that does the job with just one just touch. In case, if you’re not interested in Xender, then here are some key features of Xender that might change your opinion. Xender doesn’t use (or) require Mobile data to function whether on Android, Windows or any other platform. In fact, Xender reminds users to turn off the Mobile Data while using the Xender application. Xender is one of those few apps that come with cross-platform sharing facility. You can transfer files from one platform to another platform without any issue. Currently, Xender supports file sharing between Android, Tizen, iOS, Mac, Windows. (No Cables) You don’t need to connect your devices via any sort of cable like USB to transfer files. Xender manages to transfer files wirelessly across multiple devices without any issues. Wifi File Transfer master is probably the most awaited feature of Xender. If you have a Wifi router in your house and would to like to share to files with multiple persons simultaneously, then this feature will be helpful for you. Xender will make use Wifi router to transfer files to the group without losing speed. It features one of the most simplistic yet powerful interfaces that anyone can become familiar with in a short span of time. You just need to open the app and follow the simple on-screen instructions to get started. 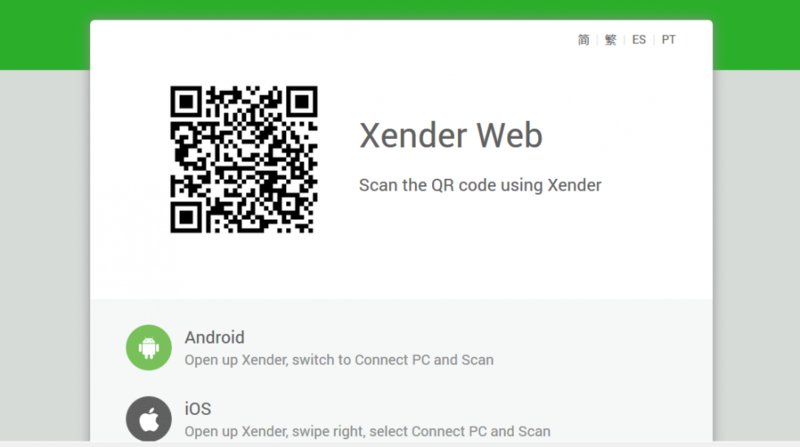 Recently, the team of Xender has launched the PC version of Xender to transfer files between Computers and Android. However, it seems many of the users are unaware about it or finding it difficult to use Xender on PC. So, we’ve decided to come up with a simple guide on How to use Xender for PC. If you’re also looking for the same, then go ahead and read the below-mentioned guide. Well, there are actually two ways of using Xender on your Windows laptop or computer. The first method includes a third party Android emulator called Bluestacks. And the other method is via the official Xender version of PC. Both the methods are free and simple to use. Just go through these guides to know how to transfer files using Xender. Bluestacks is an Android emulator that lets you download and use any Android app or game on your Windows Pc or laptop. Basically, in this method, we’re going to download the Xender application through the Bluestacks Android emulator. Firstly, you need to download the Bluestacks Android Emulator from the official site on your Laptop. Once the downloading is over, open the Downloaded file and install the Emulator on your System to proceed further. After the successful installation of Bluestacks, open it up and sign in with your Google account to get started. Now open Google Play Store in Bluestacks and search for Xender, Select “Install” and wait till it gets completed. You can launch the Xender app and start transferring files as soon as the app is finished installing in your Bluestacks Emulator. That’s it! In this method, you don’t need to rely on any third-party applications to use Xender app. Although, you would need to have a Browser installed on your system for this method. Any browser like Chrome, Firefox, Microsoft Edge will do the job, so don’t worry! Just open your Web Browser on your laptop and go to the official page of Xender web using the provided link. The page would look something like this. Now download the android version of Xender on your smartphone from Google Play Store or using this link. After installation of the app, open the app and select “Switch or Connect To PC”. Now you need to scan the QR code which is shown on your laptop’s screen using the camera of your Android device. Once the QR code is scanned thoroughly, you will be shown a different screen from where you can start transferring the files. The application will do the all the set up process automatically, you just need to wait for a few seconds. Once the set up is over, select the files which you want to transfer from Laptop or Android and click on “Send”. The files will be transferred to your desired device within a minutes depending on the size of the file. It’s all free and doesn’t use any of your Mobile data to transfer files. So go ahead and enjoy. Xender is the most popular and widely used file sharing application available for Android, iOS, etc. Xender Web (web.xender.com) would be the better way which does not need any third party app installations on PC (Windows, Mac or Linux). We have provided both the methods for you, please go up and follow the instructions.